Well that project I mentioned would be eating up a lot of my time until Election Day is winding down, which means I’ll be getting back to more regular blogging over the next few weeks, as well as introducing some long-overdue updates to this site between now and the end of the year. As a first step in this effort, a Divest This fan is helping me get the message out via the social networks, starting with Facebook. I actually created a Facebook group several years ago which I just used to announce new blog postings before I let it grow fallow. This time around, I plan to keep it up to date by using the FB page to post shorter pieces and links regarding BDS-related news and events, and continue to use the blog to post the more detailed analysis pieces that have traditionally been the core of Divest This. So stop by and give us a Like. 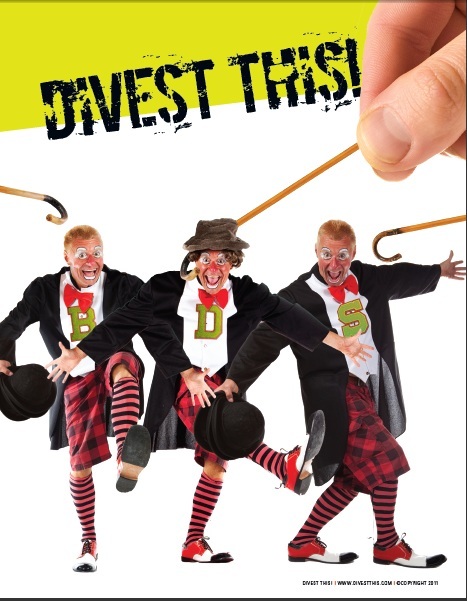 The Facebook site can be found at http://www.facebook.com/divestthis.